"Pakistan's concept of Sharia has nothing to do with Islam," said Shiraz Ahmad in his address at a seminar on "Human Rights abuses in Pakistan" organised by the Nehru Memorial Museum and Library in collaboration with the Asian-Eurasian Human Rights Forum. 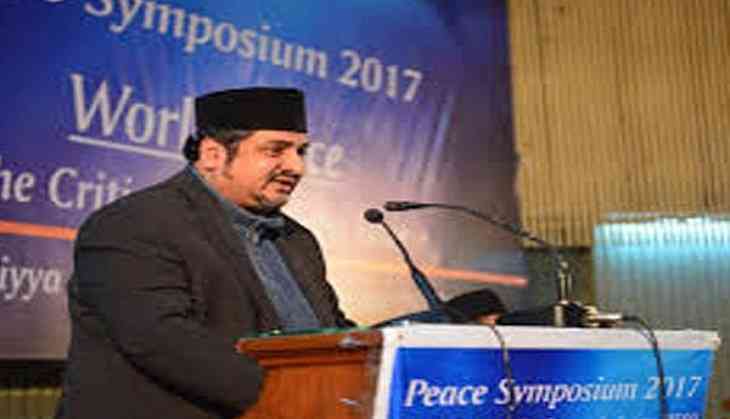 Ahmad is the Additional Executive Director of the Ahmadiya Muslim Jamaat, India, and he was speaking about gross human rights violation being perpetrated on the Ahmadiya community in Pakistan, and that too with state sanction. Ahmad said that Ahmadiyas were declared non-Muslim in 1974 by the government of Zulfikar Ali Bhutto and were further deprived through an Anti-Ahmadiya Ordinance in 1984 promulgated by then military dictator General Zia-ul-Haq. The political isolation of the Ahmadiyas through instruments of state has led to their harassment in all walks of life. They vote as non-Muslims and are denied and equitable job opportunities. There are severe restrictions to their entry in professional institutions which hampers their right to education. Restrictions have been imposed on the production of Ahmadiya literature. Hundreds of Ahmadiyas have been charged under the Draconian Blasphemy Law of the state and sentenced to long imprisonment and even death. Most significantly, state marginalisation of the Ahmadiyas in Pakistan has encouraged the militants and extremist elements towards specifically targeting the community with violence. Many Ahmadiyas have been and continue to be murdered in cold blood by religious extremists while their religious places are desecrated and destroyed. Ahmad concluded by saying that even though international human rights organisations raise the issue of Ahmadiya persecution in Pakistan in various forums more need to be done to ensure the safety and individual liberty of the persecuted community. The seminar also touched upon the human rights abuses of other minority communities like the Shias, Hindus and Christians. The terrible conditions prevalent in insurgency afflicted areas like Balochistan and Gilgit-Baltistan because of the "heavy boot" policy of the Pakistan Army were also discussed in the seminar.